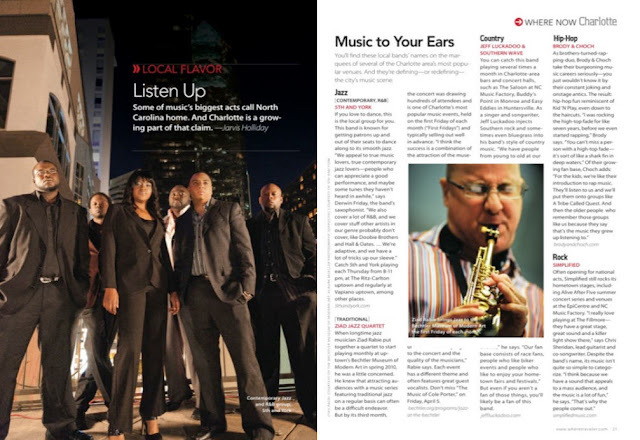 For the March/April 2013 issue of Where Charlotte, I wrote about five local musicians who are worth your time and attention. They are jazz bands 5th And York and the Ziad Jazz Quartet, country band Jeff Luckadoo & Southern Wave, hip hop duo Brody & Choch, and rock band Simplified. You've likely heard of at least one of them. Learn more about them by picking up the current issue of Where Charlotte, which is distributed for free and can be find in newsstands in Uptown, and at hotels, visitors centers, and several attractions like museums. 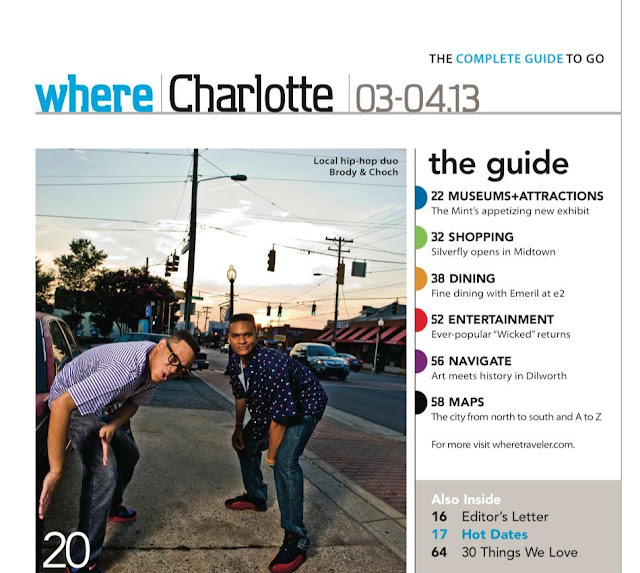 You can also read the article online by visiting http://charlotte.wheretraveler.com, and then clicking on the magazine cover in the left column where it says "Read Where Charlotte" (that takes you to a digital file where you can flip through the pages of the complete issue). Follow Where Charlotte at facebook.com/wherecharlotte and twitter.com/wherecharlotte.